Evergreen tree, up to 10m high, native to Florida, the Caribbean, South Mexico to Costa Rica; leaves pinnate, leaflets leathery, oblong to obovate to lanceolate; flowers are solitary or in clusters, purplish-blue; fruits heart-shaped, yellow, sometimes appear at the same time as the flowers. „Most populations of G.sanctum have diminished from collection for approximately 400-500 years, for use of the wood itself or a medicinal decoction from it. To a considerable extent, it does not appear that collectors have been selective between this species and G.officinale (although readily told apart), but actually have cut either or both to satisfy the same trade demands… Guaiacum sanctum is assessed as “Endangered” in the World List of Threatened Trees, because it is “extinct or extremely rare on most of the Carribean islands”. In Central America and Florida (Costa Rica, El Salvador, and the Florida Keys), remaining populations are confined to restricted areas and continue to be threatened with habitat loss or exploitation. Guaiacum sanctum was originally exploited as a cure for syphilis. Minimal medicinal attention continues, in local remedies. The medicinal material may be termed gum guaiac, guaiac resin, guaiacum, lignum vitae, or lignum sanctum. The medicinal uses of G. sanctum, similar to those of G.officinale, is mainly to treat rheumatic pain, but also as an antiinflammatory, diuretic, diaphoretic, and mild laxative. 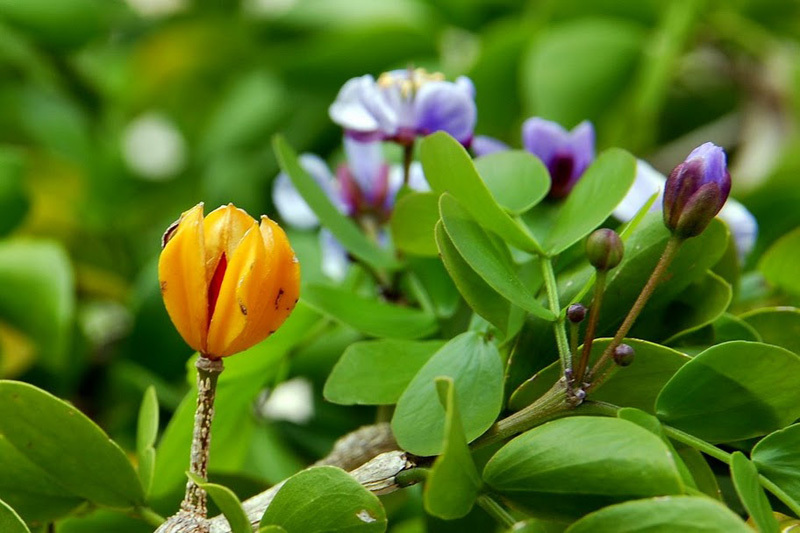 Guaiacum sanctum is also sold and planted as an ornamental tree or tub plant.